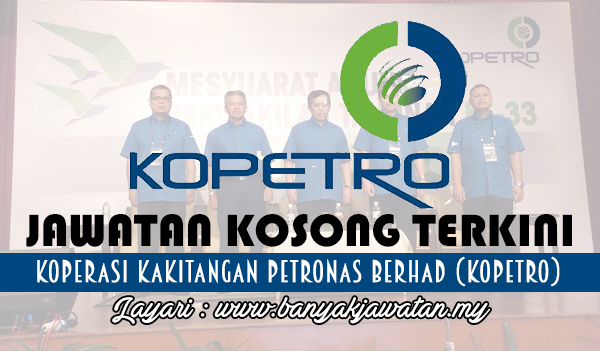 Koperasi Kakitangan PETRONAS Berhad, also known as KOPETRO was incorporated under the Cooperative Acts (revised 1993) on 30th October 1980 with a noble intention and objective of providing financial aids for PETRONAS staff, food & beverages at PETRONAS Office, travel & tours agency and hotels . We are one of the established co-operative society in Malaysia for almost 36 years. We are looking for suitable candidates to join our dynamic team. 0 Response to "Jawatan Kosong di Koperasi Kakitangan PETRONAS Berhad (KOPETRO) - 7 April 2018"